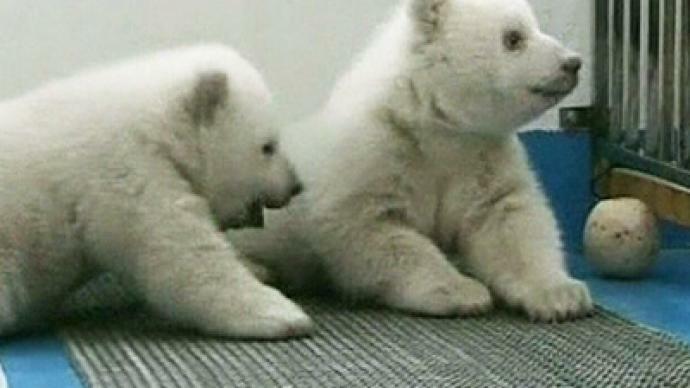 Touching footage of twin polar bear cubs fooling around have charmed TV viewers around the world. The video provided by China's state broadcaster shows the cubs playing happily with each other in their enclosure. The mischievous couple was particularly curious about the cameras filming them. One of the bears nudged the camera lens with its nose and then licked it. The fluffy twins were born on October 14 in a Chinese polar aquarium. The boys are the second delivery for the Finnish bear pair – given to the aquarium as symbol of friendship between China and Finland. 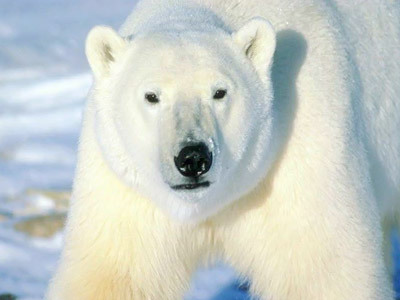 Vets believe the cubs were lucky to survive: it is rather rare for female polar bears to give birth to two sets of twins in the same year. The venue’s staff say the twins are growing well and will soon be able to walk on their own. Each of the cubs weighs around 10 kilograms and stands 65 centimeters in height. 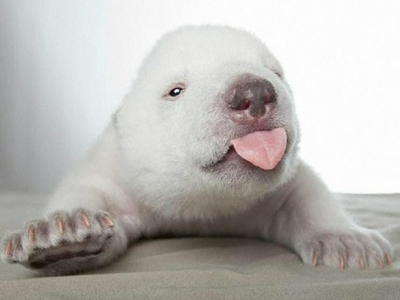 Adorable as they are, the little bears are not that easy to look after, complains the aquarium’s staff. "Whenever they are not happy, they will bite you," said Li Li, an employee at the Laohutan Polar Aquarium. 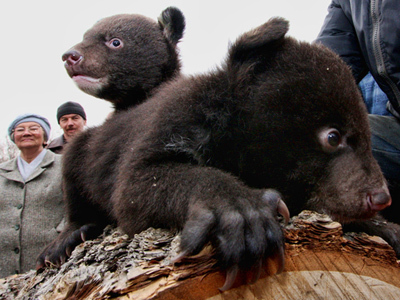 The bear cubs will first meet the public during the coming New Year holidays.